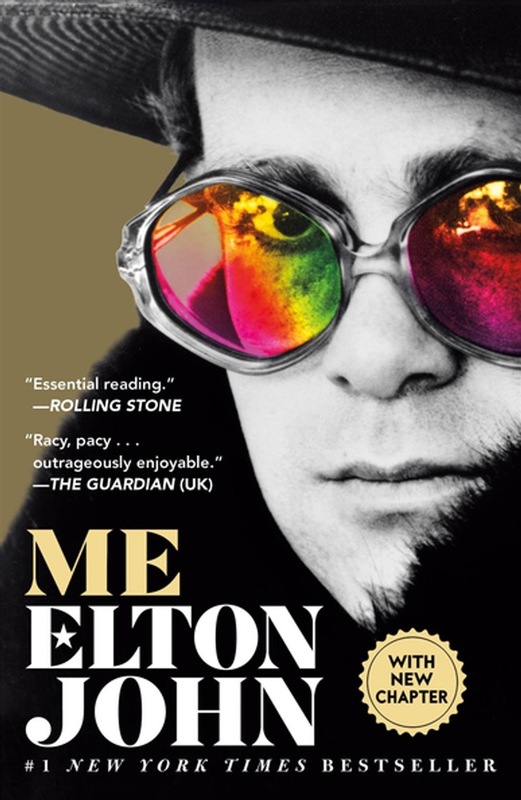 In his first and only official autobiography, music icon Elton John reveals the truth about his extraordinary life, which is also the subject of the upcoming film Rocketman. The result is Me - the joyously funny, honest and moving story of the most enduringly successful singer/songwriter of all time. Christened Reginald Dwight, he was a shy boy with Buddy Holly glasses who grew up in the London suburb of Pinner and dreamed of becoming a pop star. By the age of twenty-three, he was performing his first gig in America, facing an astonished audience in his bright yellow dungarees, a star-spangled T-shirt and boots with wings. Elton John had arrived and the music world would never be the same again. His life has been full of drama, from the early rejection of his work with song-writing partner Bernie Taupin to spinning out of control as a chart-topping superstar; from half-heartedly trying to drown himself in his LA swimming pool to disco-dancing with the Queen; from friendships with John Lennon, Freddie Mercury and George Michael to setting up his AIDS Foundation. All the while, Elton was hiding a drug addiction that would grip him for over a decade. In Me Elton also writes powerfully about getting clean and changing his life, about finding love with David Furnish and becoming a father. In a voice that is warm, humble and open, this is Elton on his music and his relationships, his passions and his mistakes. This is a story that will stay with you, by a living legend. Acquista Me in Epub: dopo aver letto l’ebook Me di Elton John ti invitiamo a lasciarci una Recensione qui sotto: sarà utile agli utenti che non abbiano ancora letto questo libro e che vogliano avere delle opinioni altrui. L’opinione su di un libro è molto soggettiva e per questo leggere eventuali recensioni negative non ci dovrà frenare dall’acquisto, anzi dovrà spingerci ad acquistare il libro in fretta per poter dire la nostra ed eventualmente smentire quanto commentato da altri, contribuendo ad arricchire più possibile i commenti e dare sempre più spunti di confronto al pubblico online.